Wonderfull . . You will be Blessed for your Kindness. Lovely! You had such a great experience watching them take their first flight.. 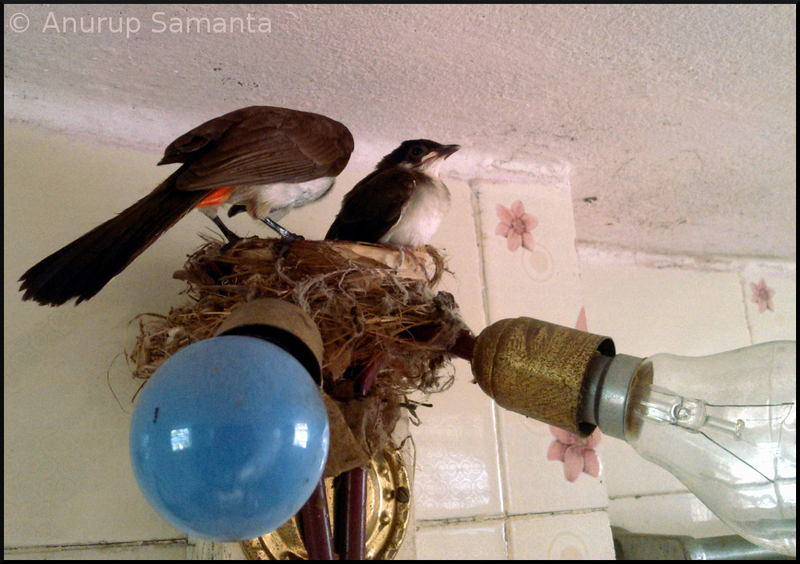 The first picture shows the two bulbuls looking at something. 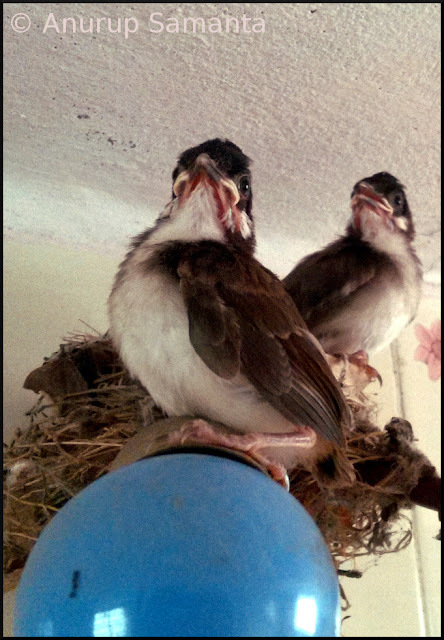 They look beautiful, i never saw a bulbul from close quarters.